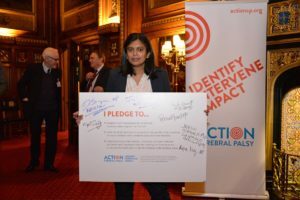 The Whitehouse Consultancy worked on a major campaign launch for our client, Action Cerebral Palsy, hosted by the Speaker of the House of Commons, The Rt. Hon. John Bercow MP, in his State Apartments. 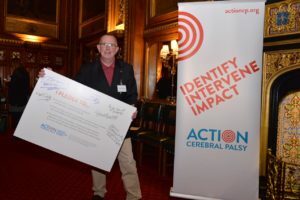 Action Cerebral Palsy is a national charity set up to improve the lives of children with cerebral palsy (a group of lifelong conditions which affect movement and co-ordination) and their families, campaigning for better education and health provision. 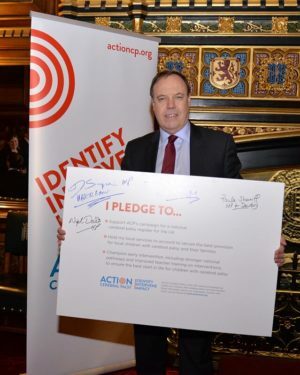 Support ACP’s campaign for a national cerebral palsy register for the UK. Hold their local services to account to ensure the best provision for local children with cerebral palsy and their families. Champion early intervention, including strong national pathways and improved teacher training on interventions to ensure the best start in life for children with cerebral palsy. The ‘asks’ to decision-makers came from research undertaken by the charity’s Chief Executive, Amanda Richardson MBE, and Director of Policy & Communications, Caroline O’Shea, as part of Action Cerebral Palsy being awarded the Winston Churchill Memorial Trust Award to enable them to travel to Australia, where a national register currently exists, and discover best practice models to inform practitioners, decision-makers and families back in the UK. 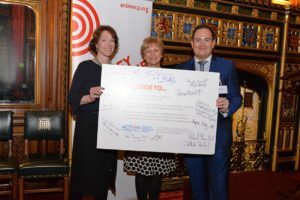 Parliamentarians from across the political spectrum attended, signed the pledge and picked up their copies of the report, which featured a foreword by Paul Maynard, Member of Parliament for Blackpool North & Cleveleys, who has the condition himself. 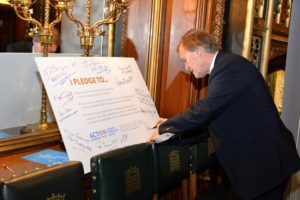 The launch took place on a tense night for the Government, as it was the same evening as the crucial vote on Prime Minister, Theresa’s May’s proposed Brexit deal. We will now re-engage with Ministers and civil servants across Government, and Opposition spokespersons, to continue to improve the lives of children with cerebral palsies and their families. 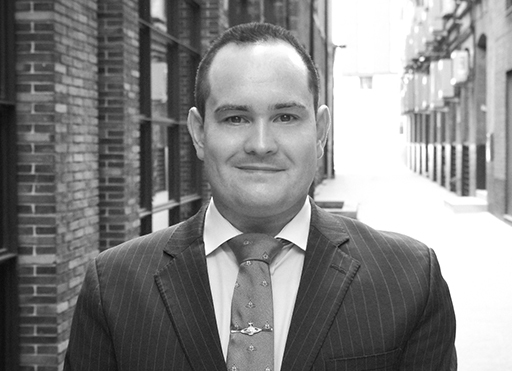 If you would like to discuss our work with education, health and third sector clients, please e-mail: paul.church@whitehouseconsulting.co.uk to arrange an introductory meeting.